Yep, He’s back in his Santa suit! 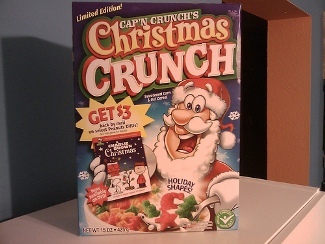 Strolling through the aisles at the grocery store, I couldn’t pass up one of my favorite holiday traditions, Christmas Crunch. Anyway, I guess this kicks off the 2008 Christmas season.